One of MIA’s greatest traits is the way she speaks unfiltered in her music and in interviews, passionately articulating the political causes she supports and criticizing the practices she disdains. She’s never been too finessed about it, though, which has made her somewhat more relatable a figure in the realm of political musicians. But a new statement to London’s Evening Standard is drawing criticism for the way she seems to misunderstand black American activists and Black Lives Matter. It’s interesting that in America the problem you’re allowed to talk about is Black Lives Matter. It’s not a new thing to me—it’s what Lauryn Hill was saying in the 1990s, or Public Enemy in the 1980s. Is Beyoncé or Kendrick Lamar going to say Muslim Lives Matter? Or Syrian Lives Matter? Or this kid in Pakistan matters? That’s a more interesting question. And you cannot ask it on a song that’s on Apple, you cannot ask it on an American TV programme, you cannot create that tag on Twitter, Michelle Obama is not going to hump you back. Several problems arise in this statement, not least of which is the assumption that Black Lives Matter is “allowed” to speak in America, which is a fallacy that, at its most obvious, overlooks the criticism Beyoncé received from police and anti-black racists for her Superbowl performance, and at its most crucial betrays a deep misunderstanding for how difficult it’s been for the voices within Black Lives Matter to be heard. Finally, being black and Muslim is not mutually exclusive, and M.I.A.’s song “Borders,” which is about the refugee crisis, is currently available on Apple Music. 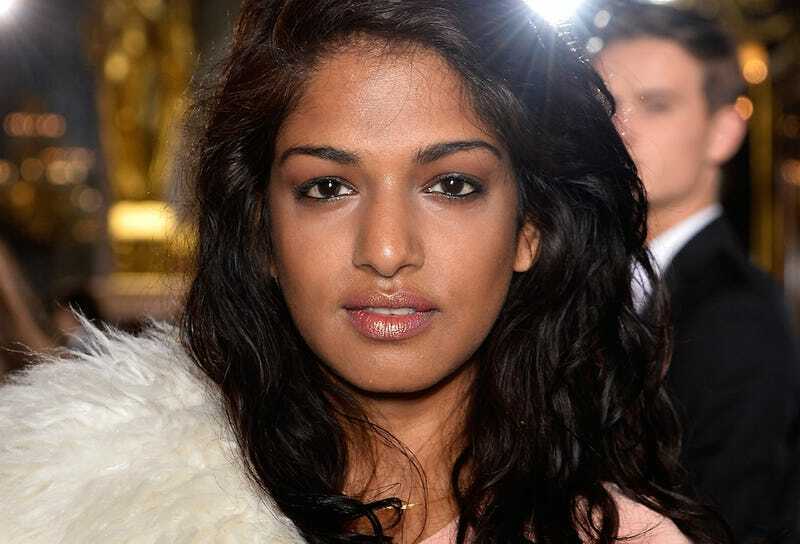 Of course, this is M.I.A. just speaking off the cuff, a trait many have grown to love her for. It’s just disappointing that in doing so, she had to throw a profoundly relevant activist movement under the bus to get her point across in a quote that seems to suggest she doesn’t see a link between activist struggles against racist and fundamentalist regimes. All this, for an artist who has made her music by literally traveling around the world mining global music, is pretty unfortunate. Unfortunately, her clumsiness has served to muddy the issue she was trying to speak on in the first place, while expressing a viewpoint that seems to read directly as anti-black racism. Read the whole Evening Standard profile here.